This week I was invited to photograph Margate for the local tourist board, while joining them on a whistletop ‘fam tour’ of the town. I like to think I know Margate well, as I divide my time between my flat here and London. But I have to admit that most of the places we visited had previously been off my radar. 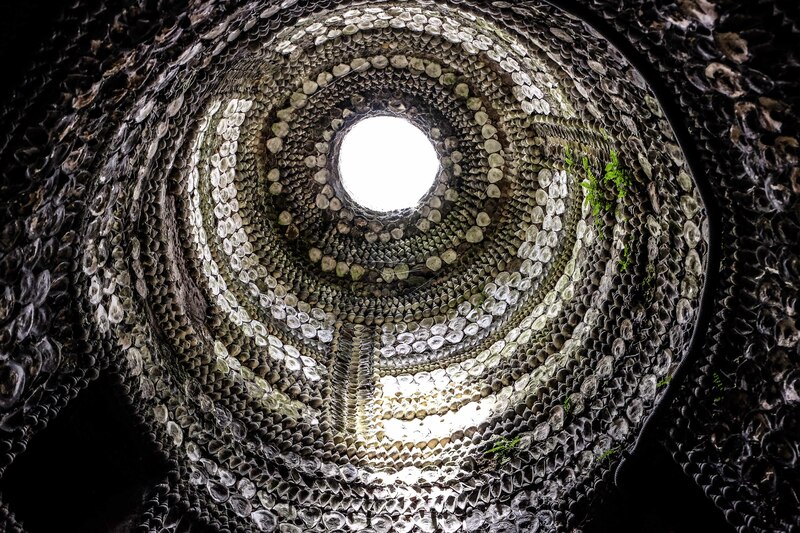 I can now say that I’ve ventured down the shell grotto (a cave decorated with shells ‘recently’ discovered in 1835 but no-one knows why the shells are there and who put them there); stepped inside the beautiful Tudor House, which I have previously only admired from the outside; done time in a prison cell – now Margate History museum, and hopped on-board the bus cafe at The Old Kent Market. I’ve come away now knowing that the shell grotto has a fantastic gift shop; that Tudor House was nearly demolished by the council because they didn’t know what historic gem was quietly lying underneath a rough plastered facade (a lesson for us all perhaps…); the Old Kent Market bakes lovely huge teacakes on the premises, that are effectively Hot Cross Buns but without the cross. (So you don’t have to wait until Easter to eat them); the History Museum is housed in a former gaol and is really large and that Helen Shapiro, who sang at the Winter Gardens, was actually Columbian (a random fact gleaned from the history museum). I also got to have a private tour of Dreamland amusement park on the first anniversary of its new incarnation (sadly the rides were not operating during my visit – I guess only the Royals get that kind of private tour) and discovered that the park is now free to visit (you just have to pay for the rides). I also got to see the latest exhibition at the Turner Contemporary gallery, which is basically centred on all things round; and popped into a few shops and bars including the lovely Morgans, which I returned to later on so that I could enjoy the sunshine from their beautiful seaview terrace. Next week I’ll be joining them on another fam trip and photographing the local Kent villages. I can’t wait!